I was moving around some of my polish last night and came across these polishes sitting next to each other. I must have subconsciously realized they would look great together. For once it was only seconds to determine my next manicure instead of eons(exaggerated). I know that I have worn Sinful Colors Hot Chili before but I have never given my opinion on it. Truth be told I kinda forgot what it was like. I definitely have some pros and cons with it. Sinful Colors Sin-Ammon is a new acquisition for me. It has been on my lemming list since I first started collecting Sinful Colors polish. The formula of this polish is still fantastic considering that it was released 3 years ago. This is a metallic gold color that was opaque for me in 2 coats. I had no issues with the cleanup. All About You is the last polish used in this mani and really pulls the accent nail together with the Hot Chili polish. All the clear base at the top told me it probably would never be opaque on its own since the glitter had all settled to the bottom . I’m thankful for my Pro Shaker otherwise I would have been shaking forever to get it all mixed. 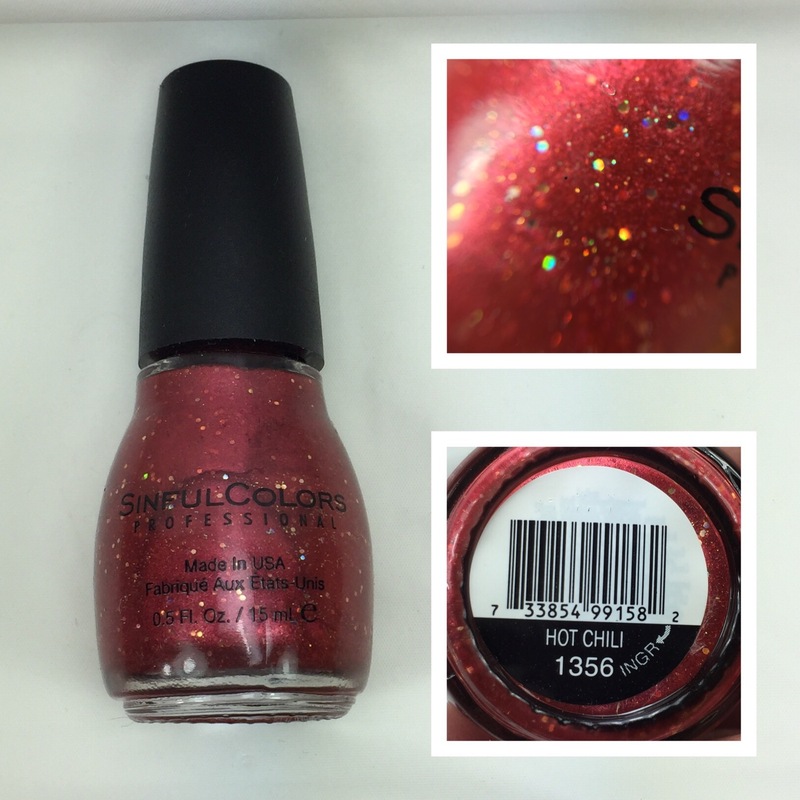 All About You is a primarily gold glitter polish that has also been infused with red glitter. From a distance it looks all gold but when you get closer that is when the red stands out.